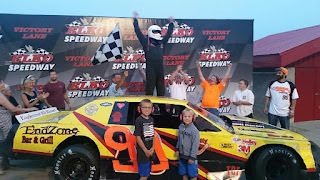 A packed house was entertained by numerous close finishes on a steamy-hot night for Eve of Destruction at Elko Speedway presented by the MN Lottery and the New Prague Auto Group. The first MN Corn Growers Super Late Model feature went to Matt Goede from New Germany (MN) by the slightest of margins. Matt won this 30 lap race by only .033 seconds over Paul Paine. "It was a close finish, I was really happy to be able to pull off the win," said Goede "Paul got a little loose out of turn two and I got a good run, thankfully he left me enough room coming out of turn four and we drag raced to the finish line, I barely beat him." This is the first win of the year for Matt Goede, he has overcome many hurdles to achieve this success including breaking his arm and wrist in May. "I went out on the dirt bike and crashed, it was dumb on my part I lost control, hit some trees and hit the ground, I wish it wouldn't have happened, it cost me some points" said Goede. "I'm happy that everything is healed now and back to normal." Matt's brother Jacob finished third in the first feature and former two time Champion Jason Schneider lead the first half of the race and finished fourth in the 16 car field. The second feature went to Nick Barstad of Prior Lake (MN), he lead the cautionless 30 lap NASCAR Whelen All American series race flag to flag. "No cautions really helped out, we were on old tires, so we were hanging on and running our line and it was all she wrote," said Barstad. Nick was the ARCA Midwest Tour Rookie of the Year last year and has raced a lot of places but a win just 15 minutes from his home is something special. "Elko is without a doubt the nicest facility in the entire Midwest, I love running here," said Barstad. Former I-94 Raceway Champion Bryan Roach finished 2nd and Jacob Goede scored another third place finish on the night. Jacob Goede holds a commanding 80 point lead in the standings over his brother Matt with Paul Paine 102 points back in Third. Jamie Farrell from New Prague (MN) won the first Hiway Federal Credit Union BIG 8 feature event. Farrell took the lead on lap one and never looked back, he lead all twenty laps and finished .356 seconds ahead of Jake Ryan for his first win of the season. Jon Lemke from Shakopee (MN) came out on top of the 16 cars in feature number two. Lemke had a great battle side by side with Dylan Moore for the top spot and ended up winning by only .085 seconds as the crowd roared with excitement. It was the second win of the season for Lemke. Chris Marek was stuck back in the pack and finished 9th in both of the feature events. Marek still has a sizable point lead, he leads Ryan Kamish by 45 points with Dylan Moore 49 points out of the top spot. Brandon Petersen from Fairbault (MN) won the first Pepsi Power Stock 20 lap main event, he got past defending Champion Nick Oxborough on the start and held off current Point Leader Tom Doten on a green-white-checkerd finish for the win by .940 seconds. This was the first win of the season for Petersen. The second feature went to Grant Brown who bested all 16 cars and won his fourth feature of 2015. Brown had to fight off Tom Doten during a furious battle to the stripe. Brown won by an incredibly close .009 second margin as the two cars appeared to be side by side at the finish. The consistency of Doten helped him increase his point lead to 16 over Brown. After some mechanical problems Taylor Goldman had to borrow a car for the second feature and lost some ground in the point standings, she is now 50 behind the leader. 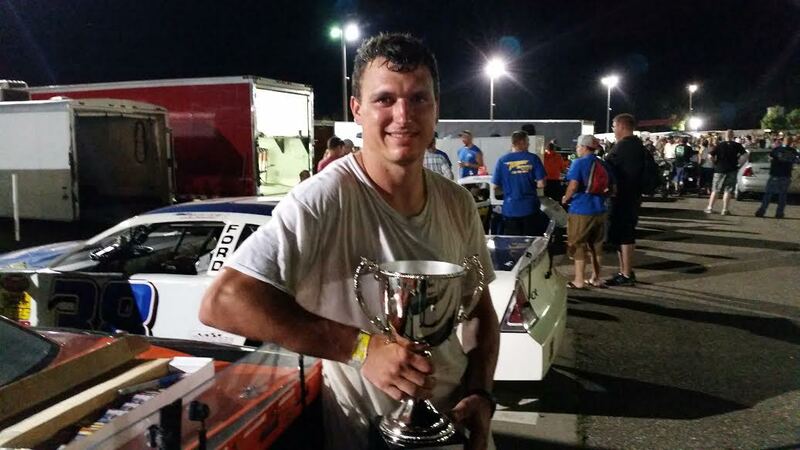 Derek Lemke from Shakopee (MN) won his third Great North Legends feature of the year. 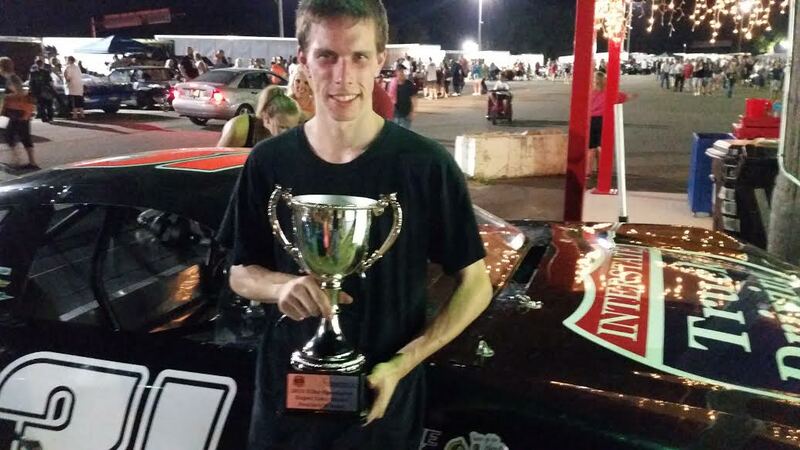 He finished just ahead of Matt Allen and Jaycen Brockhouse in the 21 car field to take home the trophy. Defending Champion Lemke increased his point lead to 42 over both Allen and Brockhouse who are tied for second place in the standings. Ridge Oien from Bloomington (MN) won his fourth feature of 2015 and he did it the hard way, he passed current point leader Justin Schelitzche for the top spot. Oien won by .234 seconds with Schelitzche finishing runner up and Matt Suhl in third. Schelitzche is still the point leader, he has a 20 point lead over Ashley Bell in the standings. 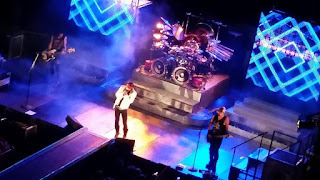 The crowd enjoyed the close finishes but also liked the show put on by Mechanical Mischief and Alter Ego Monster Trucks. Devin Jones in Alter Ego was declared the winner in the Duel. J J Romans and his crew performed Freestyle Motocross for the fans. Brian McMenomy was the Outlaw Drags winner in a 1979 Cadillac Seville and Doug Skang won the Spectator Drags in a 2000 Cadillac Seville. Tim Brockhouse from Prior Lake (MN) beat Chris Freeland from Monroe (LA) in the Outhouse race finals. The School Bus Figure 8 presented by RentMyPartyBus.com ended in a rollover and was the finale of the night. For full results and point standings go to www.ElkoSpeedway.com and Click RESULTS. Next up at Elko Speedway we will be celebrating our 50th year of racing on Saturday night August 1st. Vintage race cars will be on display and many Elko Speedway Hall of Fame members will be introduced to the crowd. Vintage races will also be shown on the video screens in Champions Entertainment Center. A free concert by Johnny Holm will take place after the races. 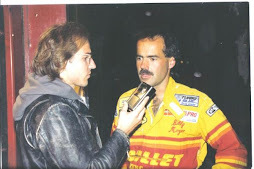 For Elko Speedway racing history information go to ElkoSpeedway.com/history and Follow us on YouTube for interviews with important people from the history of Elko Speedway. 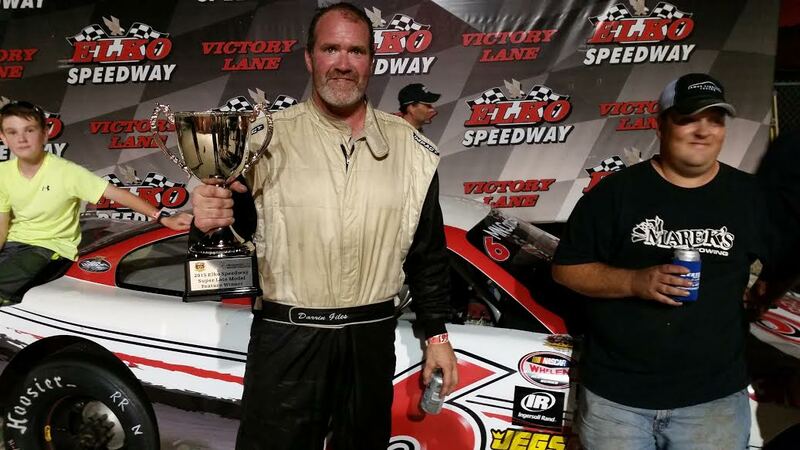 At the age of 43 Darrin Giles from New Market (MN) won his first ever MN Corn Growers Super Late Model feature event at Elko Speedway, and he held off Jacob Goede to do it. 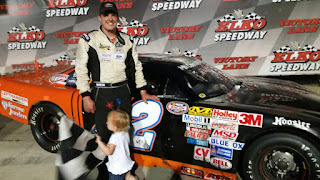 Giles and fellow veteran racer Jason Schneider had a great side by side battle for much of the 40 lap main event in the NASCAR Whelen All American series, "Jason is a fellow competitor but also he is my neighbor so, I had to race him nicely," said a smiling Giles in victory lane. Giles got ahead of Schneider and then had to stay ahead of current point leader and 7 time winner Jacob Goede, "Goede is definitely the guy to beat this year" said Giles "I didn't look in my mirror, when I heard he was coming I really had to hit my marks." Giles won by .225 seconds over Jacob Goede with Paul Paine in third and Jason Schneider finishing fourth in the 17 car field. Matt Goede had mechanical problems and finished 16th but he hung onto second place in points, 64 markers behind his brother Jacob. 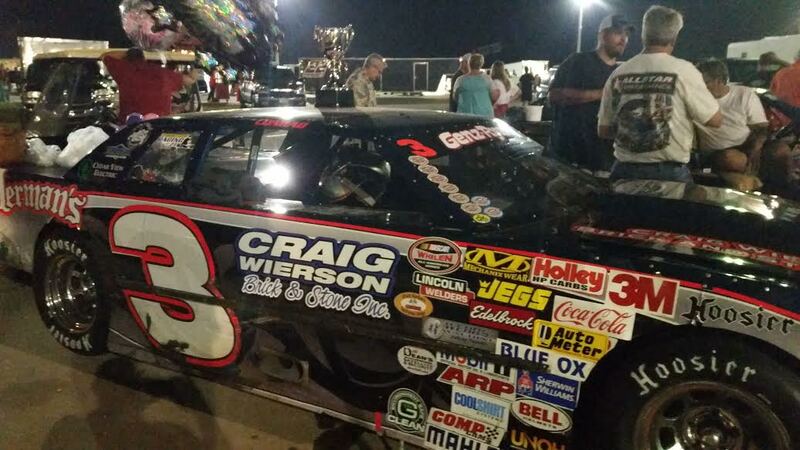 Chris Marek from Lakeville (MN) won his 8th Hiway Federal Credit Union feature event at Elko Speedway. Marek had to come from 7th in the field of 14 cars in the 25 lap main event to take the win. Adam Bendzick lead the first half of the race, Marek then made his way to the front of the pack on lap 15 with Joe Neisius following close behind, Marek won by 1.266 seconds over Neisius at the checkered flag. Marek now has an big 56 point lead over Ryan Kamish in the point standings. Brent Kane from Lonsdale (MN) won the Genz-Ryan Thunder Car main event, It is his 90th career win, and his 5th win this year at Elko Speedway. Kane had been borrowing the Scott King car the previous two weeks after a vicious wreck that sent Kane to the hospital and his car in for a total rebuild three weeks ago. Kane started near the front of the 19 car field but had to get past the point leader Jeremy Wolff who started on the pole. After a long battle and numerous restarts Kane passed Wolff and then had to fight back Devin Schmidt for the top spot, "Devin has really picked up the pace these last couple of years, he has really earned my respect, he got me loose a couple times" said Kane who won by .743 seconds even though his car was smoking the last few laps of the race. "I had tears in my eyes and a lump in my throat on the victory lap, I have so many people I want to thank for the help," said Kane. Wolff ended up with mechanical problems and finished 16th dropping him from the point lead, Kane is the new leader with a 9 point advantage over Wolff. 15 year old Grant Brown from Prior Lake (MN) won the Pepsi Power Stock main event, it was his 3rd win of the year. Brown won by 1.969 seconds over Brandon Peterson at the finish line but the story of the race occurred just seconds earlier. Taylor Goldman had won the previous two Power Stock features and she was leading on the last lap in this race as well. It was a tight 20 lap race throughout, on the last set of corners Goldman dove below a lapped car with Grant Brown immediately behind her fighting for the top spot. Some contact was made and Goldman ended up by the wall with all the lead lap cars driving past her, she finished the last car on the lead lap and Brown took home the win. The Point leader Tom Doten finished third in the race, he is now 15 points ahead of Grant Brown in the standings with Taylor Goldman in third in points. Derek Lemke of Shakopee (MN) won the Great North Legends main event in the National Qualifier race. Lemke beat Jaycen Brockhouse by .913 seconds to the checkered flag in this 20 lap affair that featured State Champion drivers from not only Minnesota but also Wisconsin and Iowa. Lemke was the Pro division winner, Ted Hough was the Semi Pro winner, Shon Jacobsen was the Masters winner and Will McCully was the Young Lions winner. The Asphlat Nationals will take place November 12-14 in Anderson South Carolina. Lemke now has a 38 point lead in the standings over Matt Allen who finished 7th in the 25 car field. Ridge Oien from Bloomington (MN) bested 16 cars and won the 15 lap Hornets main event for his third victory of 2015 at Elko Speedway. Oien battled with Ashley Bell and won by 1.132 seconds, Bell also has three feature wins, as does third place finisher Justin Schelitzche. Schelitzche now has a 20 point lead over Bell in the race for the point Championship. The Bandoleros National Qualifier race was held at Elko Speedway and Owin Giles won the feature race, he was best in the 10 car field. 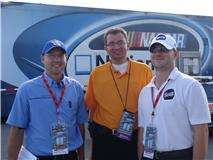 Get full Results by going to www.ElkoSpeedway.com and click RESULTS. Immedately after the races 1980's tribute band Hairball took to the outdoor stage and entertained the assembled crowd on the concourse. Up next at Elko Speedway is an Eve of Destruction presented by the Minnesota State Lottery on Saturday night July 25th. 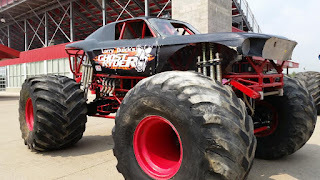 Two Monster Trucks, School Bus Figure 8 Races, Spectator Drags, Double features, prize giveaways and much more. Gates open at 5pm and action begins at 6pm. Get more information by calling (952) 461-7223 and follow us on Social Media, search Elko Speedway on Facebook, Twitter and YouTube. Elko Speedway is located 20 minutes South of the Twin Cities just off of I-35 and County Road 2. There are many different ways to listen to Speed Talk on 1360. You can listen the "old fashioned way" by tuning your AM radio to 1360am KRWC every Saturday 10-11am. Big Thank You to all our Sponsors that make the Fastest Hour on Radio possible. Please click on these links and support the sponsors that make Your one hour weekly Celebration of Motorsports possible. Speed Talk on 1360! #72 Jacob Goede from New Germany (MN) is on an incredible roll at Elko Speedway, winning for the 7th time in just 10 races so far this year in the MN Corn Growers Super Late Model division. Former Raceway Park Champion Chad Walen took the early lead in the 40 lap race, he then fought side by side with former TUNDRA Champion Nick Panitzke for the top spot. Panitzke took the lead on lap 12 before Goede made his way though the pack, on a restart Goede captured the lead and held on the final 15 laps for the win by .656 seconds. 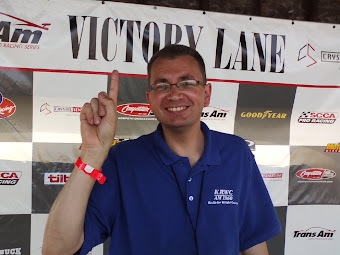 "Elko Speedway is the premiere facility in the country pretty much," said Goede "for two groove racing, it doesn't get any better." Panitzke did not pass post race Tech inspection and was disqualified, Derek Lemke was then scored in second and Matt Goede third in the 19 car field. Jacob Goede has now taken a commanding lead in the point standings, his closest competitor is his brother Matt now 64 points behind. 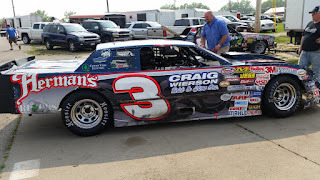 # 3 Conrad Jorgenson from Lakeville (MN) bested 18 cars and won his third feature in the last four events at Elko Speedway in the NASCAR All American series Genz-Ryan Thunder Car division. Brent Kane, still driving a replacement car loaned to him by Scott King, took the early lead in the 20 lap feature. It took until half way through the race for Conrad Jorgenson to move up from his 4th row starting spot to Challenge for the lead. Kane protected the bottom groove but Jorgenson finally took the lead with 3 laps remaining and won by 1.37 seconds. "It's got to be about 15 years that Brent and I have been racing against each other, it's been a lot of fun, he is a great competitor," said Jorgenson. 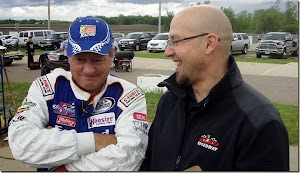 "Everybody we race with (in the Thunder Car division) is fun and most of them are my customers (at Bros Jorgenson racing), I help a lot of guys, you can build a really nice car, not spend a fortune and have a lot of fun." 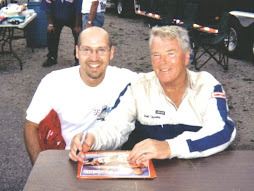 It was 20 years ago that Conrad won his first of three Championships at Elko Speedway, he started the season with some bad luck and is not running for points this year, he mentioned that this might be his last full-time season. 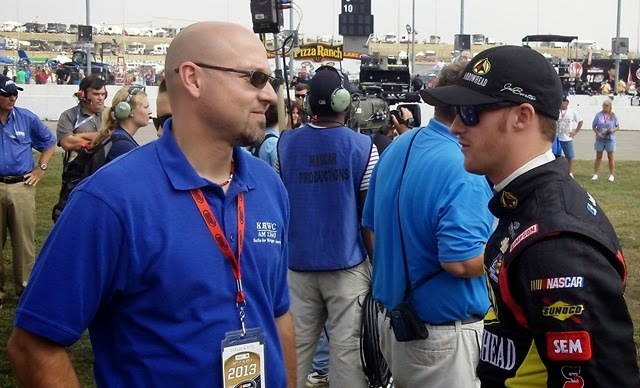 "I'm building two Power Stocks for my kids to race, we might bring one of them out in the next few weeks, when they are racing I won't have time to run full-time," said Jorgenson. Jeremy Wolff finished 9th but still leads by 8 points over Kane in the race for the Championship. Chris Marek from Lakeville (MN) won his 7th Hiway Federal Credit Union BIG 8 feature race at Elko Speedway. Marek started 7th in the field of 16 cars, Kyle Kirberger had the early lead, then Dylan Moore took the top spot before Marek grabbed the lead for good and won by .871 seconds over Moore and Michael Beamish. Marek now has a 48 point lead over Ryan Kamish and 52 point lead over Moore in the race for the title. 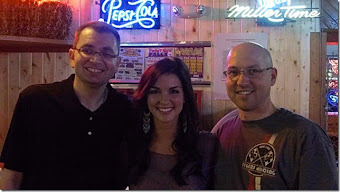 Taylor Goldman (video above) won her second consecutive Pepsi Power Stock Main event but, it did not come easy. Goldman from Minnetonka (MN) had a furious battle with Tim Hollen side by side and lap after lap through most of the 20 lap feature. The crowd was thrilled by the hard nosed driving and a roar went through the stands as Goldman crossed the line just .105 seconds ahead of Hollen. Tom Doten finished the feature in 5th spot out of 20 cars, he now leads Goldman by 13 points and Grant Brown by 14 points in the race for the Championship. Robby Carter from Burnsville (MN) beat 20 other cars and won the 20 lap Great North Legends Main event. Matt Allen had the early lead but could not hold off Carter as he took home the trophy for the 2nd time in 2015. Defending Champion Derek Lemke finished runner up .354 seconds behind Carter. Derek Lemke now leads his father Jon in the points battle, Derek has a 34 point lead over his Dad and 35 points ahead of Matt Allen who sits in third. Justin Schelitzche from Lester Prairie (MN) won his third Hornets feature event of the season. Schelitzche dominated the 15 lap affair and won by an entire straight away, he finished 3.903 seconds ahead of Matt Suhl to win the race. Justin now has a 18 point lead over the other 3 time winner Ashley Bell in the Championship points battle. Luke Allen from Chanhassen (MN) won the Bandoleros main event and closed to only 8 points behind Owin Giles in the race for the Championship. 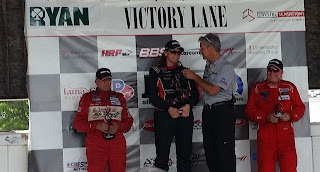 (Brainerd, MN) Amy Ruman continued her strong season as she was the driver to beat in the Trans-Am Series Ryan Companies Independence Day Classic at Brainerd International Raceway. Doug Peterson led the field to the green and managed to hold off Ruman until she took the lead on lap 5 of the 40 lap (100 mile) race. 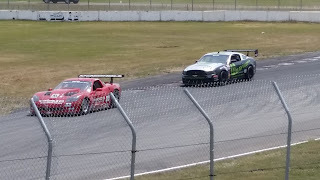 Ruman would stretch her lead, putting all of the TA3 cars and a good majority of the TA2 cars a lap down before the only caution of the race waved just past the half-way point of the race for a stalled car on the track. Cliff Ebben would also work his way past Peterson but could only chase Ruman as the leaders ran close as they worked the lapped traffic late in the race. “For a while I think I had something”, said Ebben following the race. 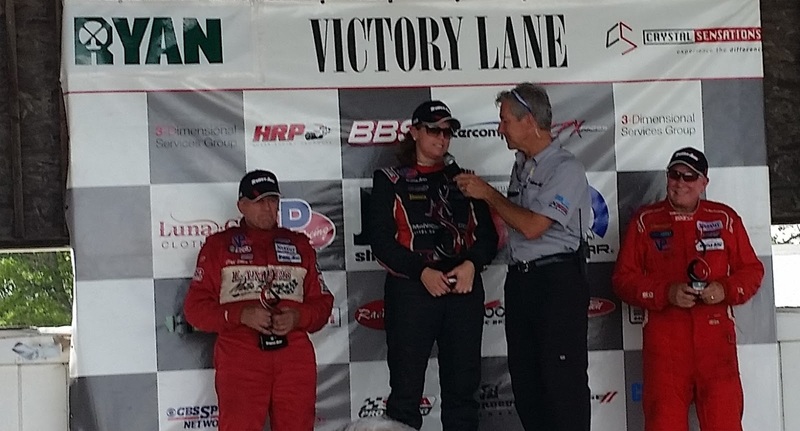 “The last six or seven laps, I was used up and I couldn’t get a hold of anything.” Ebben would finish 3.98 seconds behind Ruman as she scored her 5th win in 6 races in the Trans-Am series this season. Peterson would hold on to finish 3rd. 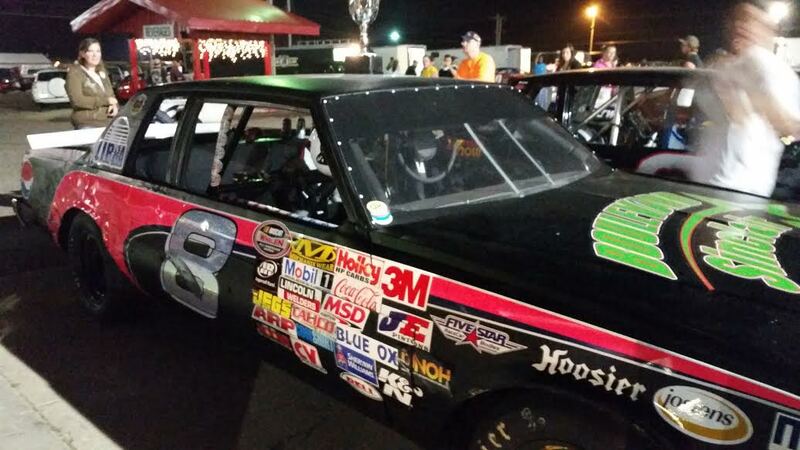 In the TA2 class, Dillon Machavern took home his first career win. Polesitter Tommy Archer made his Trans-Am return after successfully overcoming prostate cancer and he led from the start. Lapped traffic would cause problems for the veteran as he tangled with another car and spun in turn 13. This gave the lead to Gar Robinson. Machavern and Archer would track down Robinson as the laps ticked off. On the last lap, Machavern would get by Robinson in turn 6 to take the lead, bringing Archer along in the dash to the checkers. “We tried to save some tires for the end and a yellow flag and that’s what we got”, said Machavern following the race. Archer would try to track him down, but would finish .01 seconds behind, with Robinson also close, taking home 3rd, just .04 seconds behind race winner Machavern. #72 Jacob Goede from Carver (MN) continued his drive for another MN Corn Growers Super Late Model Championship at Elko Speedway during the Independence Day Eve of Destruction Double feature night. 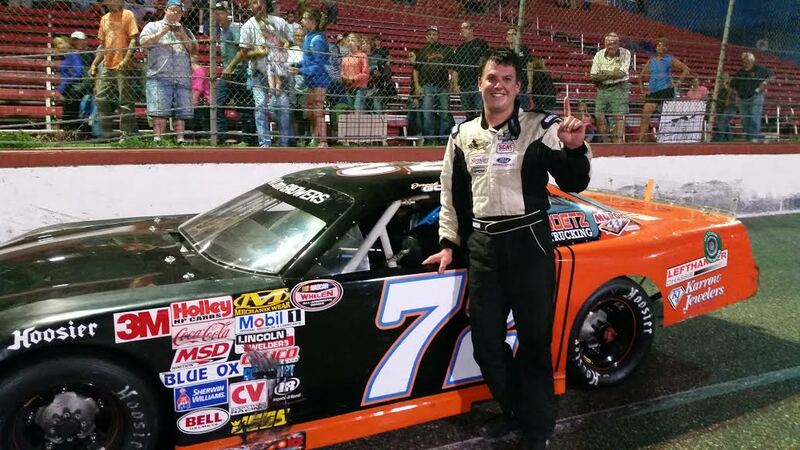 Goede won his 6th feature in 9 races in the NASCAR Whelen All American Series racing at Elko Speedway. Derek Lemke lead most of the 30 lap main event but Goede made his move and passed for the lead with 2 laps remaining, Goede eventually won by .719 seconds over Mark Lamoreaux who got past Lemke on the final lap. #27 Paul Paine from Mound (MN) won the other 30 lap Super Late Model race. Paine started up front in the 18 car field but raced Steve Anderson side by side for 7 laps before taking control of the race. Paine held off Anderson by .752 seconds at the finish line for his first win of the season "I figured this would be my last year racing," said 49 yr old Paine "but maybe I won't quit yet!" Jacob Goede started 13th and made his way up to 5th at the finish. Goede now has a 58 point lead over Nick Panitzke in the race for the Championship. 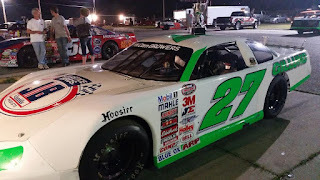 Two travelers joined the strong field of Super Late Models, TUNDRA Rookie of the Year Reagan May from DePere (WI) finished 13th and 16th and TUNDRA Champion Dalton Zehr from Boise (ID) finished 9th and 8th in the two feature events. Brent Kane from Lonsdale (MN) had a roller coaster week, he crashed out of the feature last Saturday night in the Genz-Ryan Thunder Car divsion. He ended up in the hospital and spent much of the week nursing a concussion. 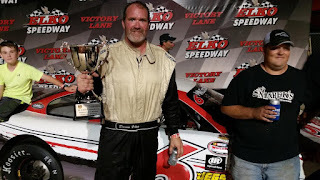 With Kanes' car beyond repair the Scott King team loaned their car to him before the races, the three time Elko Speedway Champion then took that unfamiliar car with a new Duct Taped Number 99 to victory lane. Kane beat Eric Campbell to the finish line by 1.003 seconds to claim the win with point leader Jeremy Wolff taking third. It was the fourth win of the season for Brent Kane. Conrad Jorgenson won for the 2nd week in a row in the other 20 lap Thunder Car feature. Tina Davis lead until lap 3, then Jorgenson took off and won by an impressive 3.954 seconds. 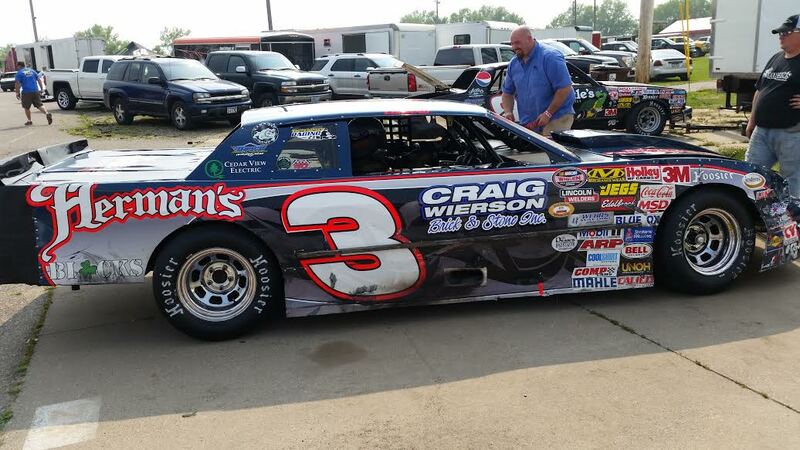 Dillion Sellner finished 2nd with Davis in 3rd in the 16 car field. Jeremy Wolff still leads in the Point Standings, but by only 9 points over Brent Kane. Dusty Mann from Farmington (MN) won for the 2nd time in the Pepsi Power Stock division, he had a great side by side battle with Tim Hollen for much of the race, Mann eventually bested the 20 car field by 1.219 seconds at the finish line in Feature number 1. The Second Feature was won by Taylor Goldman from Minnetonka (MN), she raced defending Champion Nick Oxborough early in the race but then extended her lead to 1.399 seconds at the finish line. "I'm thankful that I got a win early this year, and I hope I can get some more," said Goldman "I really have to give this one to my Dad, our starter went out in the first feature, we didn't know if we could fix it, luckily my Dad had a spare one, if he wouldn't have put that starter back in we wouldn't have raced the second feature." Tom Doten had some bad luck and lost some of his cushion in the Point Standings, Taylor Goldman is now only 9 points back and 15 yr old Grant Brown is 11 points behind Doten. 16 year old Matt Allen from Chanhassen (MN) won his second Great North Legends feature event. Allen lead flag to flag and won by .459 seconds in this 20 lap and 20 car main event. Derek Lemke finished second and moved into the point lead, he is 10 points ahead of Allen in the Standings. 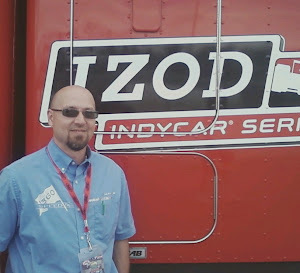 Previous leader Brady Fox-Rhode did not race and moved back to 7th in the Standings. 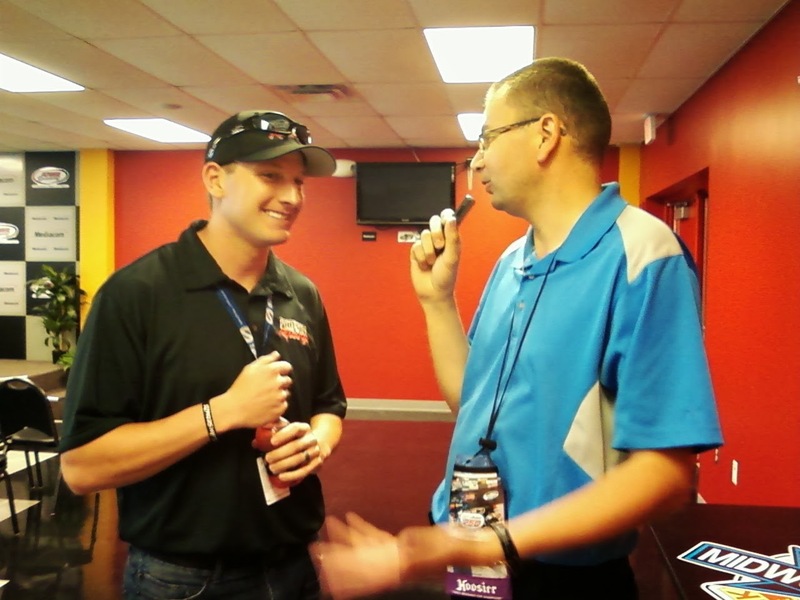 Matt Allen is a Type 1 Diabetic but that has not slowed his racing career one bit, he scored his first career win 3 weeks ago at Elko Speedway and was promptly congratulated by his racing idol NASCAR Xfinity driver Ryan Reed on Twitter. 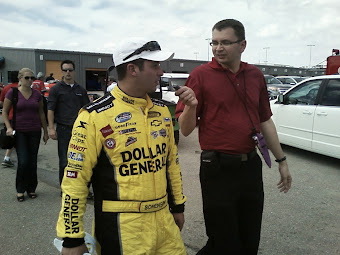 Reed is also a Diabetic, the two met last year at Iowa Speedway. Blake Dorweiler from Montgomery (MN) won the Hornets feature event. Dorweiler and Ashley Bell raced door to door for much of the 15 lap event, Dorweiler eventually won by .69 seconds over Bell. Justin Schlitzche finished 5th in the 18 car field and still holds onto the points lead, he is 20 points ahead of Bell in the race for the Championship. Troy Tuma won his third Hornet Figure 8 feature event, he shot low on the last lap and just got past Brian Adams for the win. Mark Goddard in a 2006 Dodge Charger and Brian McMenomy in a 1979 Cadillac won the Spectator Drags. Larry and Shannon Quick from Aledo (IL) had a great competition that thrilled the capacity crowd in their two Monster Trucks. 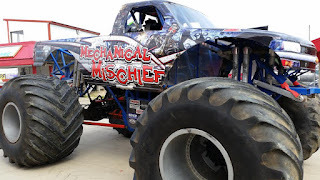 Ghost Ryder driven by Larry won the Free Style Competition over Shannon in her truck named La Chica Loca. The J.J. Romans Motocross stunt team took big air doing tricks 30 feet over the crowd. The RentMyPartyBus.com Figure 8 School Bus races were crazy as usual and were a great lead-in to the awesome Fireworks show to end the Eve of Destruction night at Elko Speedway. 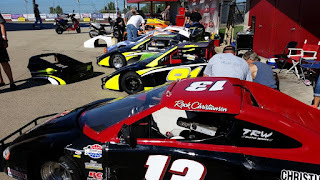 Next up at Elko Speedway located just 20 minutes South of the Twin Cities will be NASCAR racing in the Whelen All American Series on Saturday night July 11th, gates open at 5pm and action begins at 6pm. A movie will follow the races at Elko Drive in Theater. 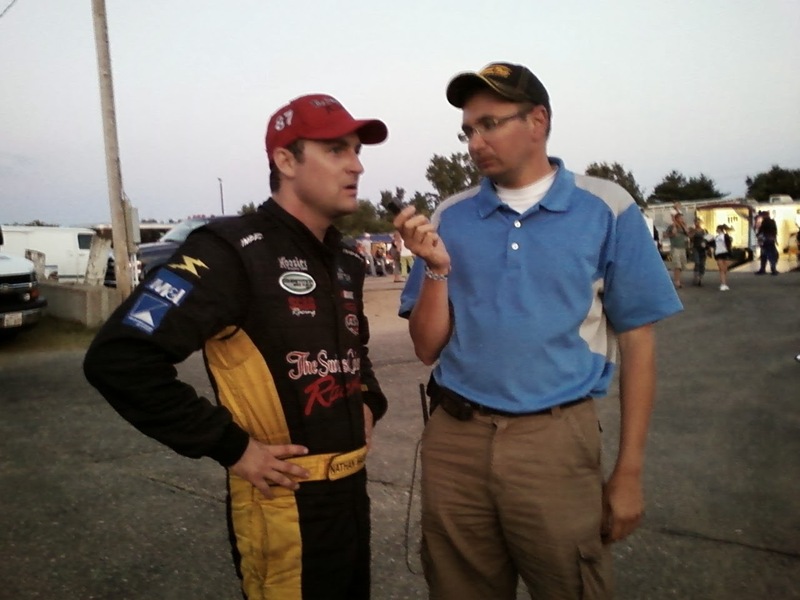 Get more information by going to ElkoSpeedway.com or call (952) 461-7223.